It may have received its share of negative feedback, but one thing I'll say for the Stanley Gibbons Volume 4 of their Great Britain catalogue: it deals with constant varieties on Machin stamps and that's something you don't always see in other catalogues. And I for one am glad they do because I have just received a nice lot of GB Machin booklets with flaws from Roy who runs the Machin Mania weblog, which you will find here. By the way, we here at Stamp Magazine have a Machin forum thread too, so why not have a look here and ask any questions or add any info you like! But back to my booklets. It concerns the booklet that was issued in October 1979, with the cover promoting the London 1980 show. 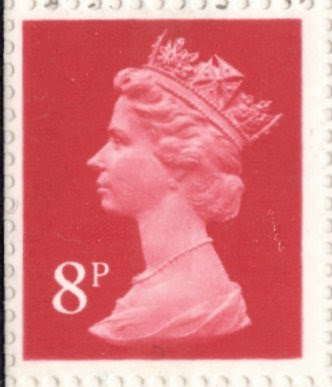 The pane consists of two 1p stamps, an 8p stamp and a postcode label. 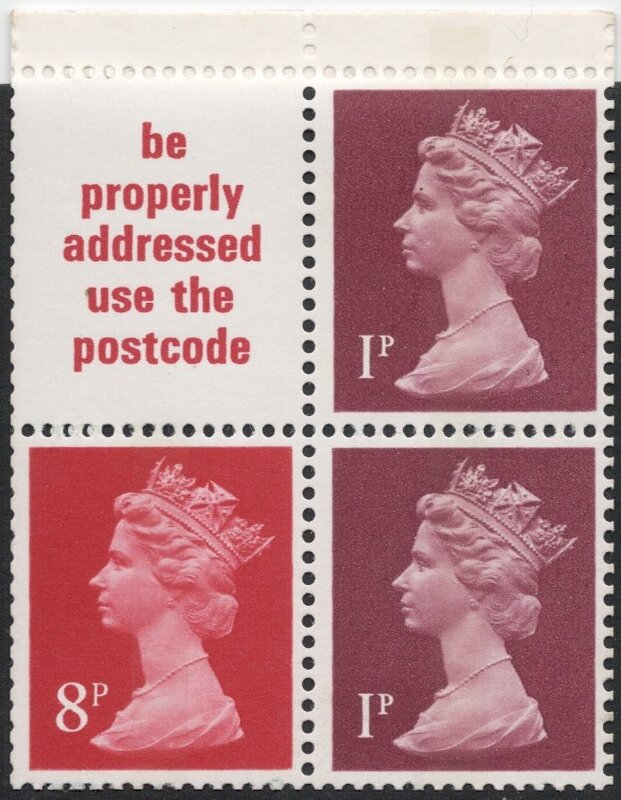 The stamps are printed by Harrisons on fluorescent coated paper with PVAD gum and have a centre phosphor band, with the band on the 8p being short at the bottom. My outdated version of the Volume 4 catalogue lists six constant varieties, and I was pleased to find three of those in my lot. 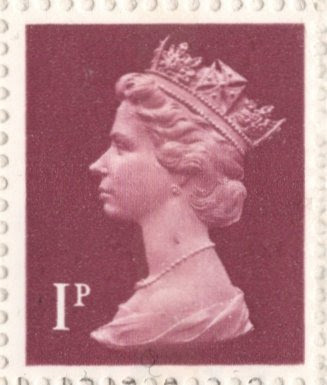 The first one is the 'Large Flaw on Neck' variety, on position R1/1. The second variety is one of those which seem to add something to the design, rather than just being a spot or a scratch or whatever. These usually end up with appropriate or even funny names, and so does this one for it is called the 'Beard Flaw', to be found on position R2/2. And it looks mightily impressive! 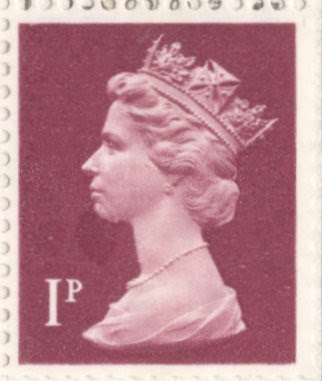 Not all flaws appear on the 1p stamp, of course. 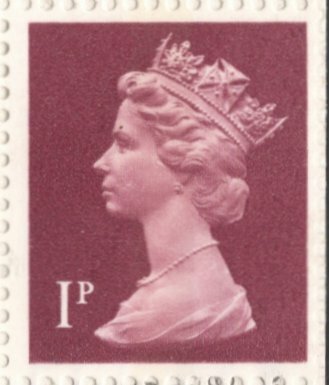 I also have a booklet pane with a flaw on the 8p, consisting of a repair of the background to the right of the Queen's neckline. And among the panes was even one with a constant variety which hasn't been catalogued (yet), showing a dark spot above the eye. I like these varieties. 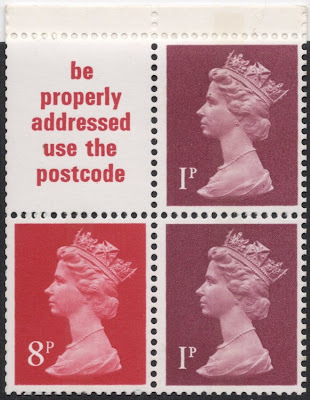 They make a booklet collection so much more interesting, and the great thing is, these being booklets which, I presume, were readily used by the general public, you may well have these varieties in among your hundredes of used 1p and 8p Machins. Better start checking them now! 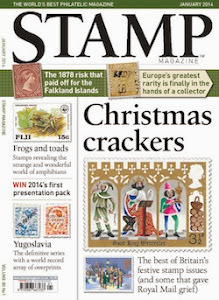 PS: You have a couple of more days to vote in our 'Best GB stamp of 2012' poll. It closes on January 11, so get voting! I still have a couple of flawed booklets left. If you would like to devise a small competion you can have them free of charge as a prize a prize to the winner. Sounds great to me! I've already thought of a tricky question which I could put up next Friday in my next blog. Maybe you can email me to sort out the details? I presume you still have my email address? And a very Happy new year to you too, Michael! I'll see what I can do for you. Nice one! I'll put it up in our Machin thread on the website's forum, see what sort of answers come up.